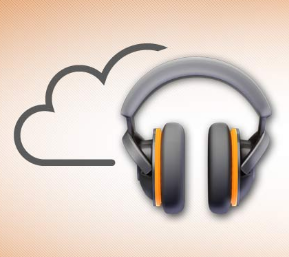 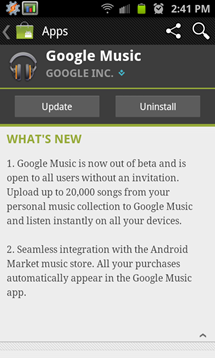 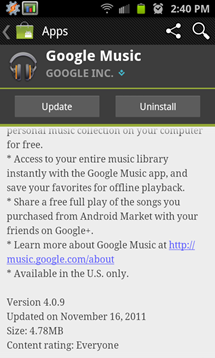 The Google Music 4.0.9 update (remember the pre-release version 4.0.1 we leaked last month?) 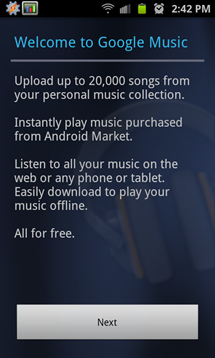 is live in the Android Market. 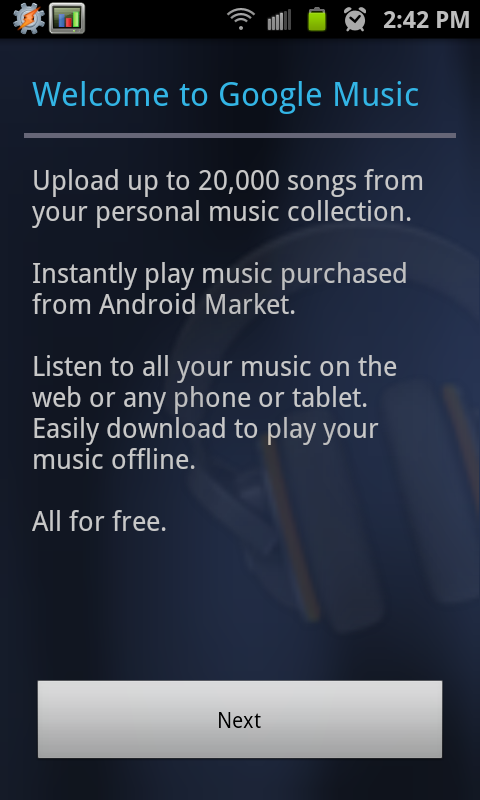 The app now integrates with the new Music-enabled Market and has a brand new, much improved ICS-like UI. 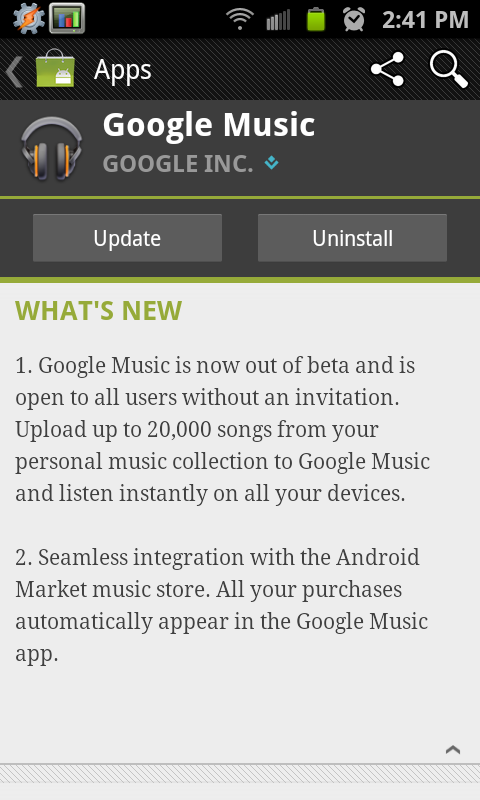 Note: If you are using the leaked Music v4.0.1, you will need to uninstall it first, as it was signed with a different Google key. 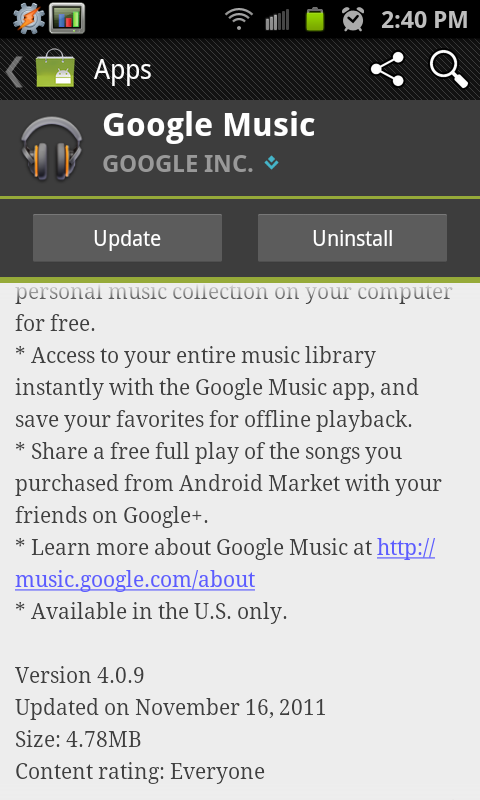 Grab Google Music v4.0.9 from the Market using the widget below.